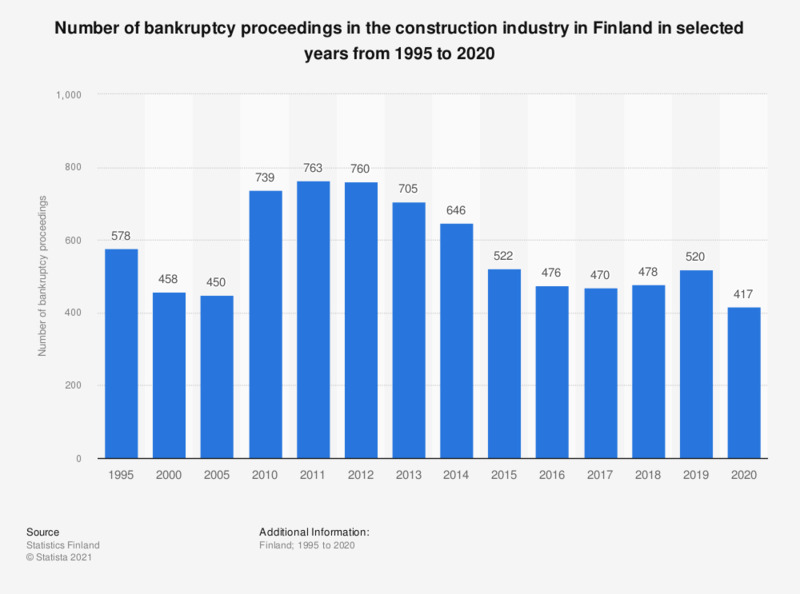 This statistic shows the number of instituted bankruptcy proceedings in construction in Finland from 1995 to 2017, broken down by business type. In 2017, the number of bankruptcy proceedings against private entrepreneurs totaled at 46 proceedings. The figures for bankruptcy proceedings instituted against entrepreneurs also include decedents' estates.